Is a port of the 2015-released open-world action RPG a possibility? With Xenoblade Chronicles 2 releasing worldwide for Switch on December 1, Monolith Soft president Tesuya Takahashi has told 4Gamer.net he would like to see a Switch version of Xenoblade Chronicles X, which was released for Wii U in April 2015. 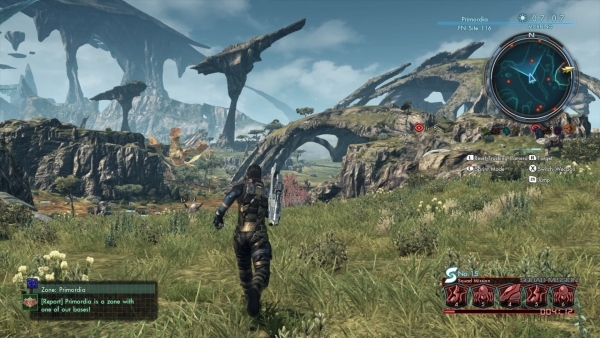 4Gamer.net: Is there a chance that we will be able to play Xenoblade Chronicles X on other hardware in the same way that Xenoblade Chronicles 1, which was released for Wii, was released as a New 3DS title? Tetsuya Takahashi: Personally, since there are times that I happen to want to play Xenoblade Chronicles X, I get the feeling that it would be nice to play on Nintendo Switch. Of course, that it something I will think about while discussing user demands and future plans with Nintendo.